Helium has a very low photoelectron cross-section and is unlikely to be detected in XPS spectra. He could possibly be implanted by ion bombardment. The small size of a He atom means it is also likely that any implanted He will escape through damage in the crystal structure. While helium was first detected in 1868 as a bright yellow line in the solar spectrum, it took until 1895 for W. Ramsay to isolate it from cleveite. In 1905, H. Cady and D. McFarland isolated helium from natural gas, the current source for most helium today. Helium is a colorless, odorless gas under standard conditions. However, it does exhibit an unusual liquid state near absolute zero known as superfluidity. Many are aware of helium’s lifting power for airships and balloons. Helium is also used as a coolant in MRI systems, superconducting magnets and cryogenics because of its low melting and boiling points. 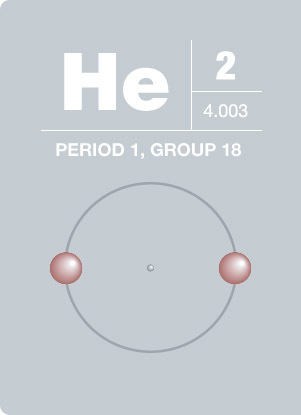 Helium’s inert properties also allow it to be used as a coolant for nuclear reactors.